Montrose is a registered provider of services under the National Disability Insurance Scheme (NDIS). We offer services for children and adults that meet your needs and the supports funded in your NDIS Plan. To find out more about our NDIS Services, call us on 1800 193 362 or contact us here. You can also view all the services we offer here. The Scheme aims to make disability support fairer and provide people with greater choice and control. One of the most important parts of making the change to the NDIS is having the right information that is relevant to you. 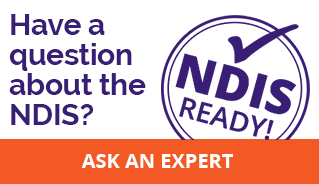 We’re sure you already have lots of questions about the NDIS so we’ve answered some here (including a list showing when the NDIS is coming to your area). Tanya has accessed the NDIS in Townsville for her son and spoke to the ABC about the experience (Audio by kind permission of ABC Southern Queensland). The NDIS provides funding for Support Coordination to help you put your NDIS plan into action and strengthen your ability to manage your own plan in the longer term. Montrose provides Support Coordination services to help explore your options and find supports that work for you. For more information, read our support coordination factsheet.